NSW art galleries and their exhibition schedules are listed below, grouped by region. For listings in other Australian states please use the What’s On menu above. 60 Caves Beach Road, Caves Beach 2281. Fri-Sun and public hols 10.00 to 4.00. Fine Art & Crafts. Classes and workshops for all ages. 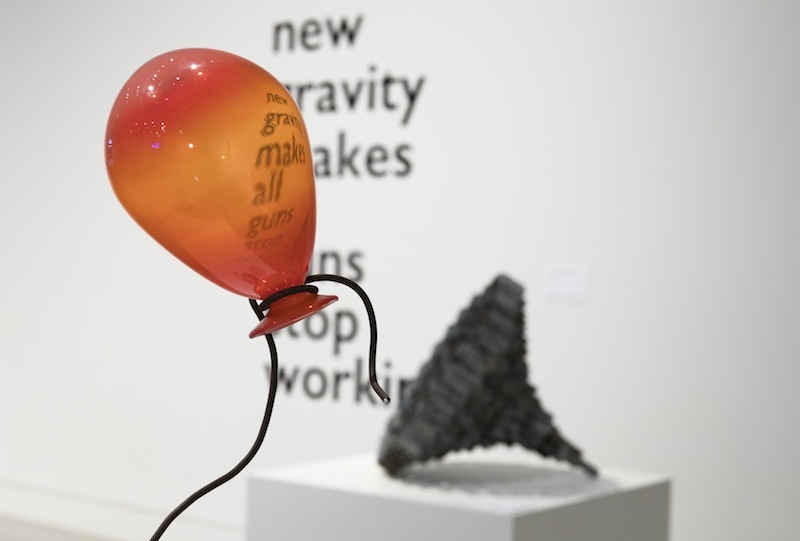 Through April Celebrate the gallery’s 6th Birthday with us! Special prices and events over the Easter long weekend. Check the website for details. Online during April, please see gallery website for details. 36 Webb Street, East Gosford 2250. March 30 to May 19 Anime Architecture. April 1 to Sept the Gallery will be closed during this time for an exciting 2.3 million dollar transformation that will include more space for programs, the collection and more exhibition space to embrace contemporary Aboriginal arts practice. The Sculpture Park and Awaba House Restaurant Café will remain open. Stay tuned for our grand re-opening celebration. 90 Hunter Street, Newcastle 2300. Wed-Sat 10.00 to 4.00, Sun 11.00 to 3.00. 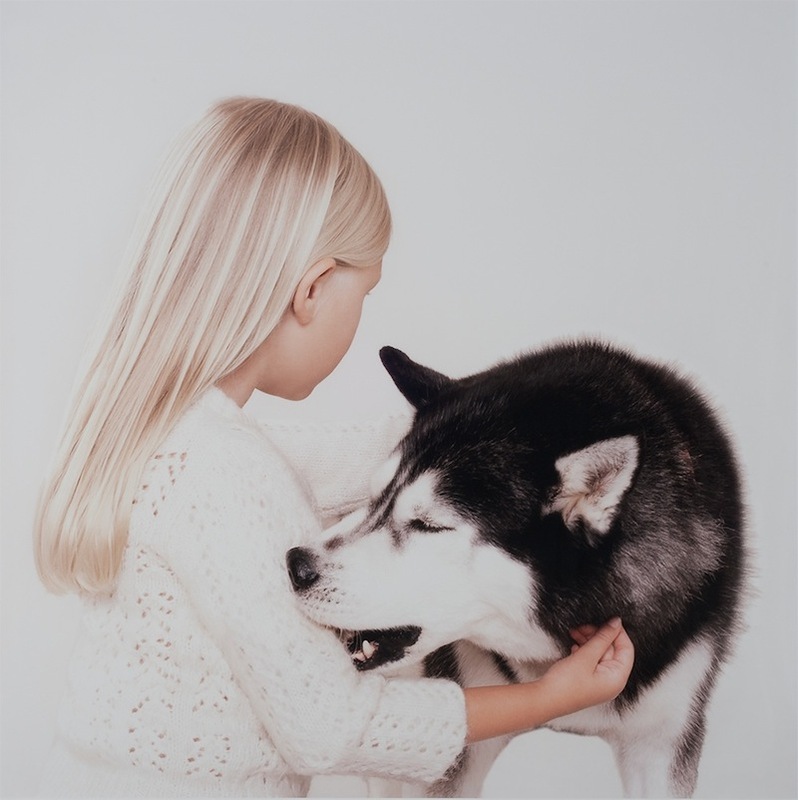 April 6 to May 27 (opening Sat April 6, 5pm) KNOWN | UNKNOWN – featuring artists who work with their own bodies to explore notions of personal, cultural and social identity. 230 High Street, Maitland 2320. Tues-Sun 10.00 to 5.00 (café open from 7.30am). Eleven exhibition spaces, gallery shop + much-loved-by-locals café. Free entry, donations always welcomed! 1 Laman Street, Newcastle 2300. Tues-Sun 10.00 to 5.00, seven days during school hols. To April 21 Floribunda: from the collection – Latin for ‘many flowers’, the subject of flora has been an enduring and alluring theme for artists of all epochs and genres. To May 19 Sodeisha: Connected to Australia. University of Newcastle, University Drive, Callaghan 2308. 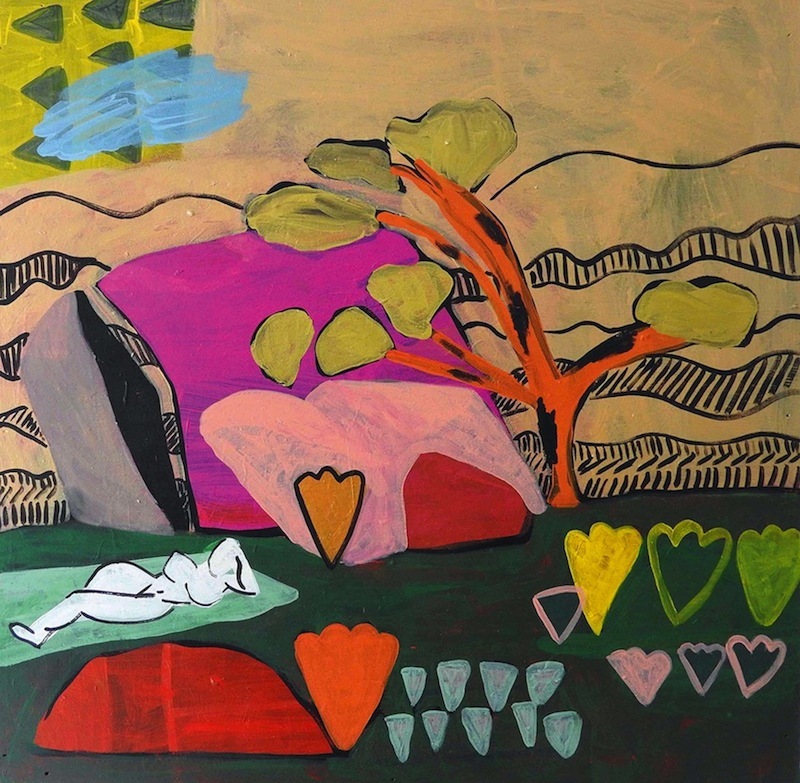 To April 20 From the Mudbrick House by Dino Consalvo and Lottie Consalvo – a Father/Daughter exhibition curated by Gillean Shaw and Ahn Wells. April 24 to May 18 Biloela: afore and beyond ñ Kathryn Jeanes PhD.Until May in the Museum: Yearning to Yarn by Simon Munro. Northumberland House, cnr Auckland and King streets, Newcastle 2300. Office (02) 4921-5188. Gallery 4921-8733. 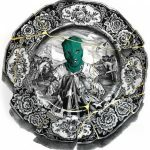 April 3 to 28 (opening Fri April 5, 5pm) Fable: The Art and Heart of Storytelling. In support of the Newcastle Writers Festival. 25 Frome Street, Moree 2400. Mon-Fri 10.00 to 5.00, Sat 10.00 to 1.00. 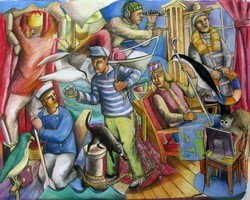 To April 27 Salient: Contemporary artists at the Western Front. Cnr Coff and Duke streets, Coffs Harbour 2450. Tues-Sat 10.00 to 4.00, closed Mon and public hols. 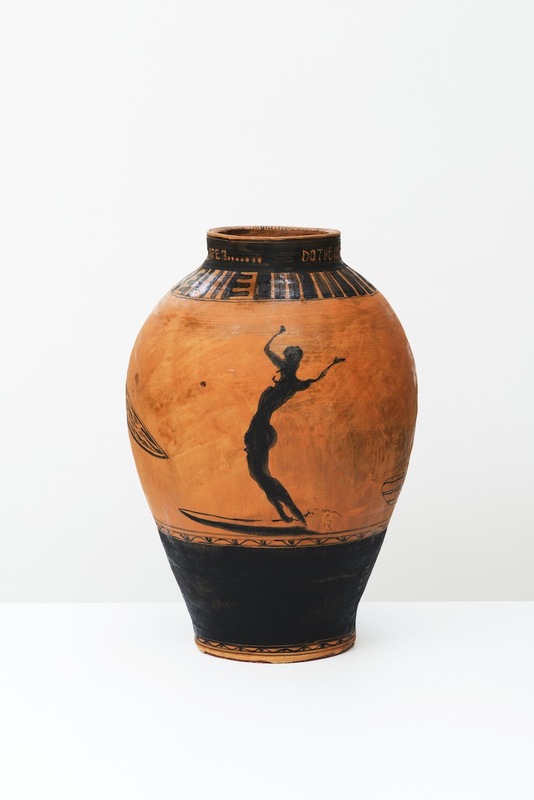 To May 4 Gerry Wedd: Kitschen Man – JamFactory Icon ñ an exhibition of Gerry Wedd’s hand-built ceramics that brim with a dry wit; from the humorous to the darkly disturbing, he explores history, politics, surfing, music and popular culture. 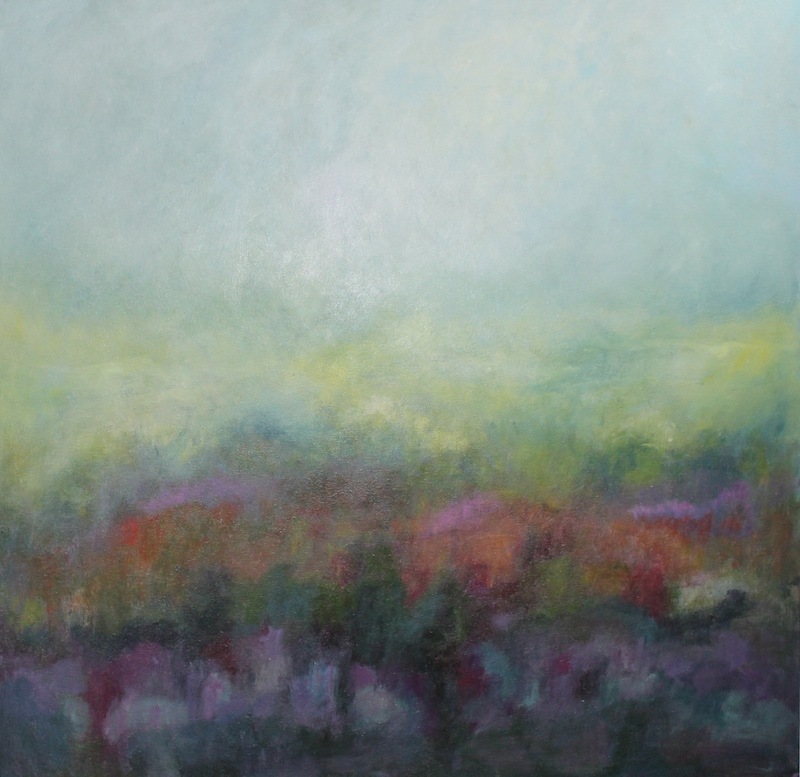 Includes new work alongside quintessential pieces from a career spanning close to 40 years. 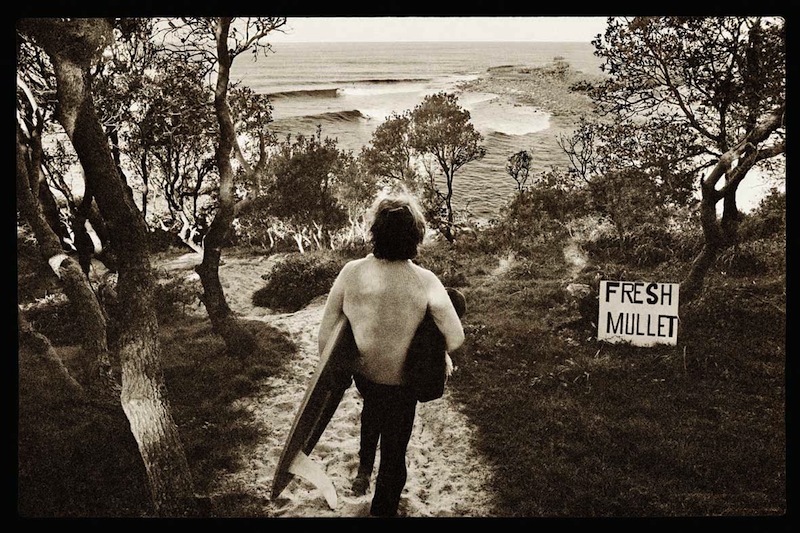 Also, Ripped Off: Gerry’s been doing it for years’… it’s about time someone else got in on the act – four artists, who also happen to surf, respond to the extraordinary archive of Australia’s pioneering surf photographer John Witzig. Featuring Jon Campbell, Robert Moore, Gerry Wedd and Ozzie Wrong, plus new work by John Witzig. 158 Fitzroy Street, Grafton 2460. Daily 10.00 to 4.00. Public hols may differ. March 28 to May 19 Bike Town – a community engagement project and multi-media collaborative exhibition between CastNet Productions, the Clarence River Historical Society, the Grafton Cycle Club and Grafton Regional Gallery that captures, shares and aims to preserve Grafton’s long and intriguing cycling history. 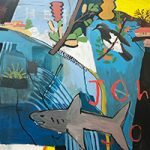 Also, Headwaters – seven Lower Clarence artists present a mesmerising tribute to the grandeur of the Clarence River and its surrounding environment through painting, works on paper, printmaking, ceramics, sculpture and performance. Also, InFocus – a photographic competition which runs in conjunction with the annual Clarence Valley plunge Arts and Culture Festival, and Best of 2018 DEX Photography – an annual retrospective of photographic works from reporters at the Daily Examiner. 11 Rural Street, Lismore 2480. Tues-Wed and Fri-Sun 10.00 to 4.00, Thurs 10.00 to 6.00. To April 21 Museum of My Friends #1 by Marion Conrow. April 6 to May 12 Paperbark by Lionel Bawden. April 18 to June 16, 2018 Archibald Prize. April 18 to June 17 Young Archies. 12 Macquarie Street, Taree 2430. Wed-Sat 10.00 to 4.00, Sun 1.00 to 4.00. To April 14 Into the Wild by Peter Schouten. Also, Jenni Catt + Angela Tay: Paradise of Waters, Movements and Impermanence. April 24 to June 2 Object Therapy – ADC On Tour: An Australian Design Centre, and YANK, SQUEEZE, BOW by Billy James Crellin. 52 Jonson Street, Byron Bay 2481. 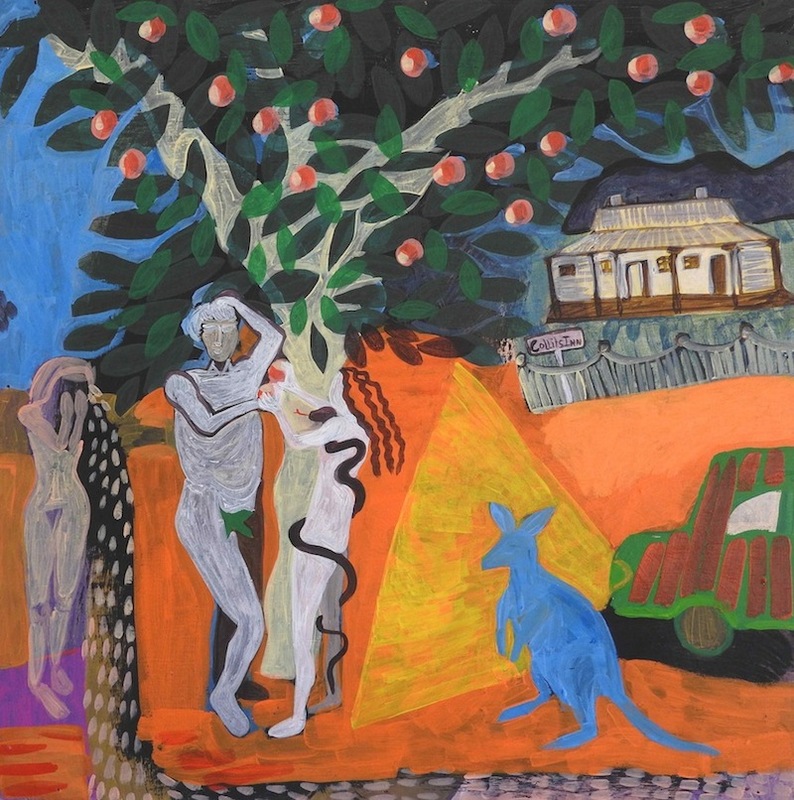 Cutting-edge collectable art from established and emerging Australian artists and designers. 2 Mistral Road (cnr Tweed Valley Way), Murwillumbah South 2482. 1st floor, M-Arts Precinct cnr Brisbane Street and Proudfoots Lane, Murwillumbah 2484. Mon-Wed and Fri, 9.45 to 3.15, Sat 10.00 to 2.00. 1 Short Street, Bowral 2576. The Bowral Art Gallery, home of the Bowral & District Art Society and BDAS workshops. March 28 to April 2 Wearable Treasures Jewellery. April 10 to 28 Tutor’s Exhibition. Cnr Range Road and Waverley Parade, Mittagong 2575. Sturt was established in 1941 and is a nationally significant and award winning centre for the teaching, sale, production and exhibition of contemporary Australian craft and design. April 6 to June 22 Contemporising the Modern: Photography from the 20th and 21st Century – Olive Cotton, Max Dupain, Pat Brassington, Harold Cazeneaux, Bill Henson, Carol Jerrems, Trent Parke, Narelle Autio, Petrina Hicks, Rex Dupain, Mark Kimber, David Moore, Robert McFarlane, Laurie Wilson, Kerrie Dundas, David Mist, Rennie Ellis, Jeff Carter, David Potts, Josef Vissel, Justine Varga and Richard Beck. 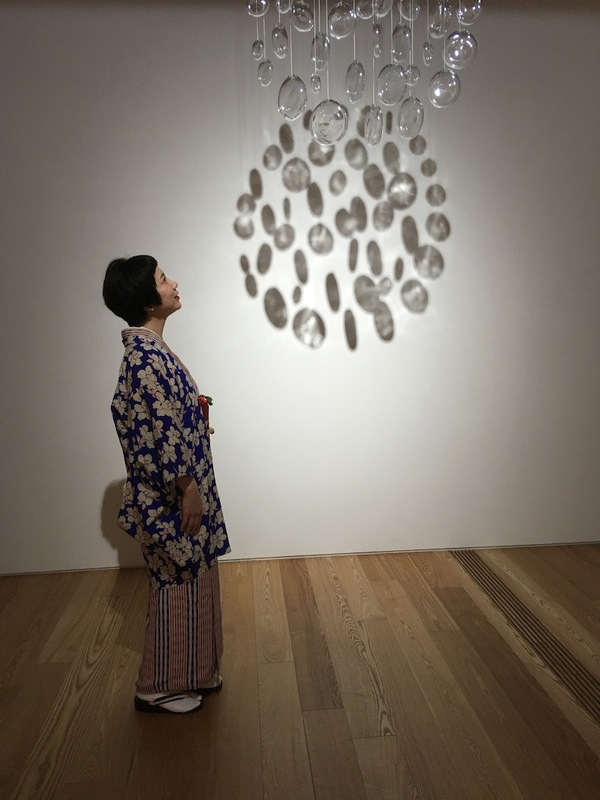 Touring from the MAMA collection – part of Head On Photo Festival 2019. Prints for sale, workshops available, custom printing + editions. Cnr Kembla and Burelli streets, Wollongong 2520. To April 28 Red Alert! 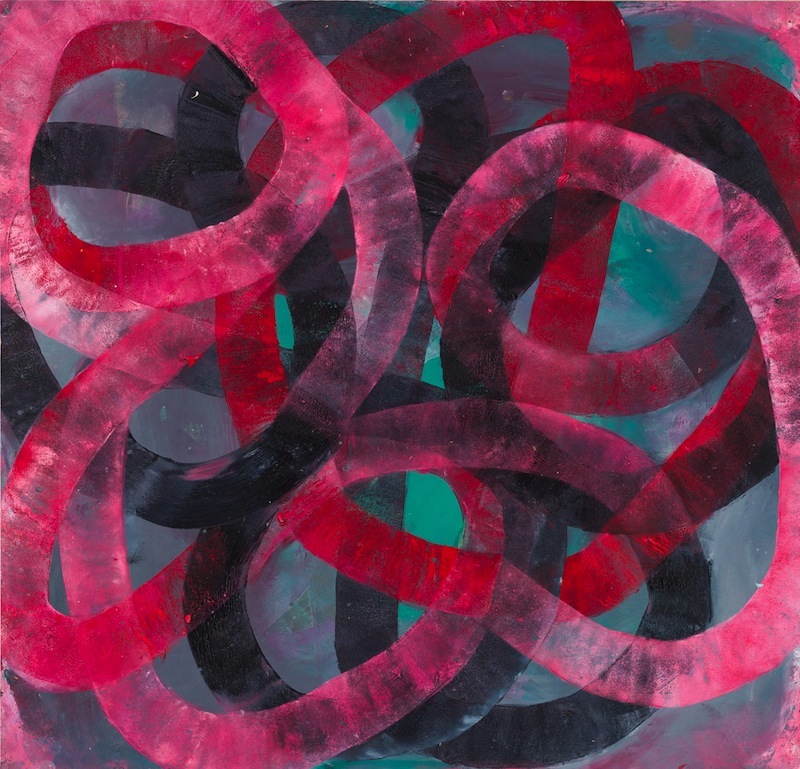 – an exhibition of affecting works with blushes of red from the collection to celebrate the Gallery’s Ruby Anniversary. To May 26 Balnhdhurr – A Lasting Impression – celebrating 20 Years Of The Yirrkala Print Space. Presented by Artback NT in association with Buku-Larrnggay Mulka Centre. To June 2 Future Feminist Archive – LIVE In Wollongong! 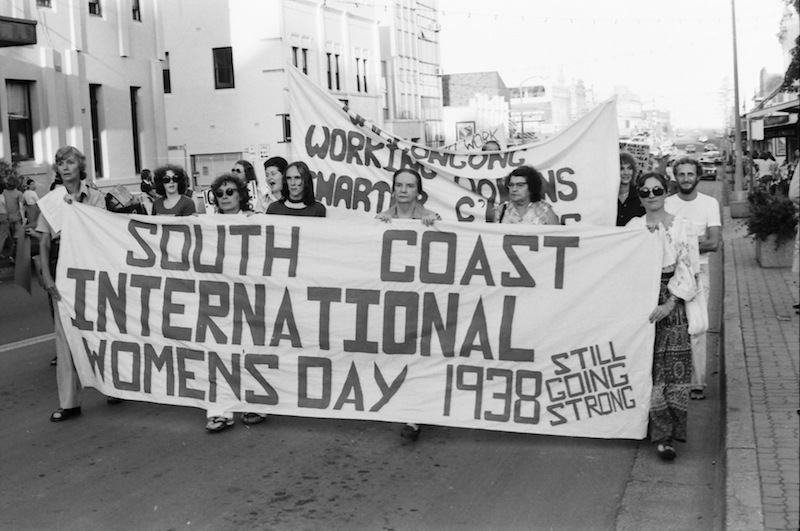 – artists and performers weave Wollongong’s first International Women’s Day March in 1979 and its context of equal rights and women’s right to work struggles, with contemporary feminist themes and hashtag age initiatives such as Me Too. 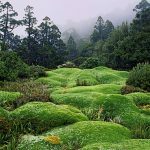 Curated by Jo Holder and Catriona Moore. Read more…. To July 21 A Place To Call Home. Wollongong homes captured by local artists past and present. To Aug 11 Monochrome – painting, drawing, photography, prints and sculpture from the collection. April 5 to May 26, 75 Years: Through the Lens. Wollongong Camera Club – an exhibition showcasing the club’s rich and vibrant photographic history since its formation in April 1944. 30 Parke Street, Katoomba 2780. Adults $5/Conc. $3. Children under 16 free. Mon-Fri 10.00 to 5.00, Sat-Sun 10.00 to 4.00. Public hols 10.00 to 2.00. To April 7 Collectors’ Edition #6 – over 80 original artworks by prominent artists will be for sale through silent auction. A Blue Mountains Cultural Centre exhibition. 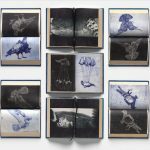 To May 5 Playback: Dobell Australian Drawing Biennial 2018 – Vernon Ah Kee, Sharon Goodwin, Laura Hindmarsh, Locust Jones, Dorota Mytych, Jason Phu, Lucienne Rickard and Nick Strike. An Art Gallery of New South Wales touring exhibition, supported by the Sir William Dobell Art Foundation. April 12 to May 5 Sculpture Otherwise – A Sculpture at Scenic World exhibition. Sculpture Otherwise is an exhibition of small sculpture by the exhibiting artists participating in Sculpture at Scenic World in 2019. The indoor exhibition provides a fantastic opportunity for collectors and the public to purchase works by emerging, mid-career and established Australian and international artists from the 2019 Sculpture at Scenic World exhibition. 98 Lurline Street, Katoomba 2780. 14 Norman Lindsay Crescent, Faulconbridge 2776. 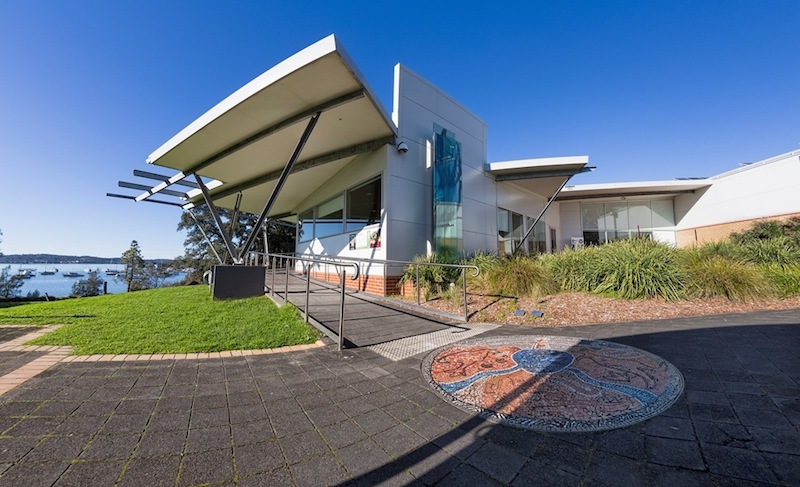 The Norman Lindsay Gallery is the home of the Magic Pudding and displays the work of artist and writer Norman Lindsay (1879-1969). 182-184 Katoomba Street, Katoomba 2780. Thurs-Mon 10.00 to 5.00, closed Tues/Wed. 1 Violet Street, Katoomba 2780. April 12 to May 12 Sculpture at Scenic World – celebrating the eighth annual exhibition that transforms the ancient rainforest floor into an outdoor gallery, showcasing 26 artworks along the Scenic Walkway, which winds through the pristine Jamison Valley and provides a unique sensory experience with subtle artworks and interactive installations. 70-78 Keppel Street, Bathurst 2795. Tues-Sat 10.00 to 5.00, Sun and public hols 11.00 to 2.00. April 12 to June 2 EuroVisions: Contemporary Art from the Goldberg Collection – a vibrant cross-section of recent developments in international art showcasing the diversity and exuberance of innovative practices and contemporary culture. A BRAG exhibition in conjunction with the National Art School, Sydney. 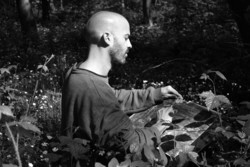 Also, Fabrice Cazenave: The Garden of Shadows – a collection of work developed during Cazenave’s six-week residency at Murrays Cottage as the inaugural French Artist in Residence (FAR) in Hill End in 2018. The FAR / Hill End program is a joint initiative between BRAG and the French Consulate, Sydney. 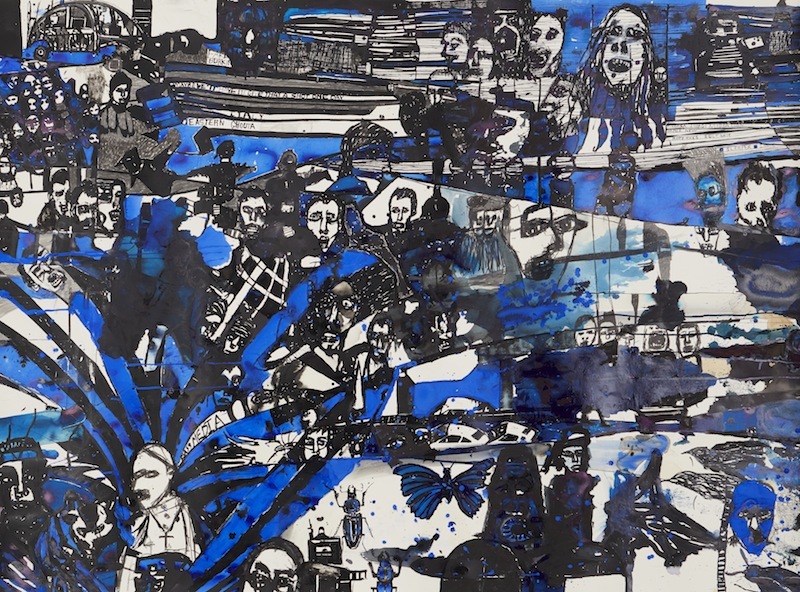 Also, ARTEXPRESS – a showcase of exemplary artworks created by New South Wales visual arts students for the Higher School Certificate examination. 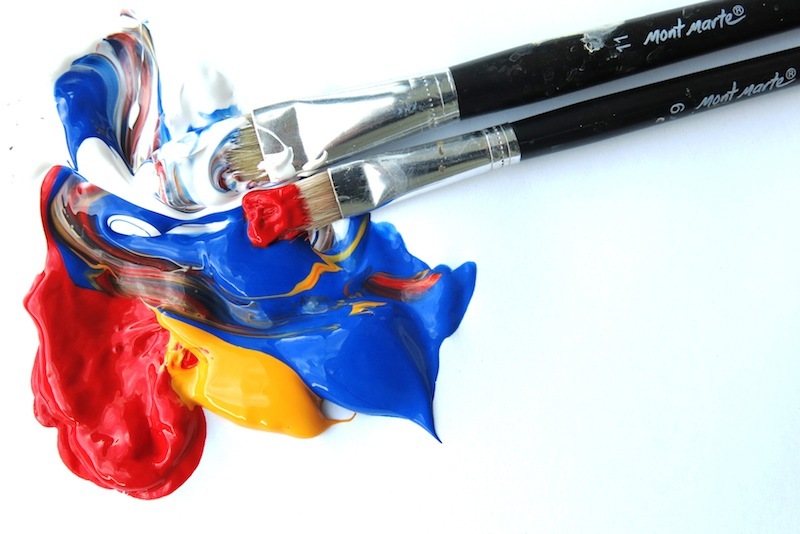 ARTEXPRESS is a joint initiative of the NSW Department of Education and the NSW Education Standards Authority. 404-408 Argent Street, Broken Hill 2880. Thurs-Sun 10.00 to 5.00, or by appt. 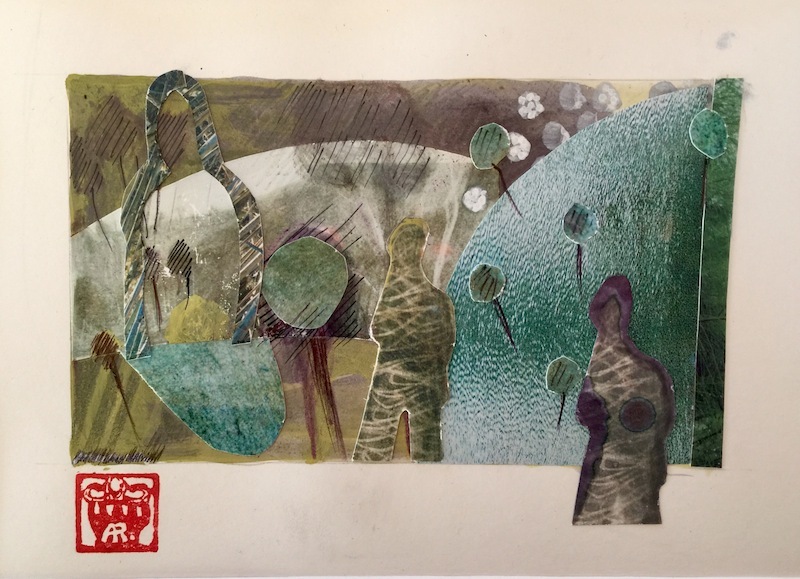 From April 27 Artist in residence – papermaker Yvonne Ledingham. Also, a collaboration of pottery by Albert Verschuuren, Max Powell and Nicci Parry-Jones, and artworks by Helena South. 77 Darling Street, Cowra 2794. Tues-Sat 10.00 to 4.00, Sun 2.00 to 4.00. 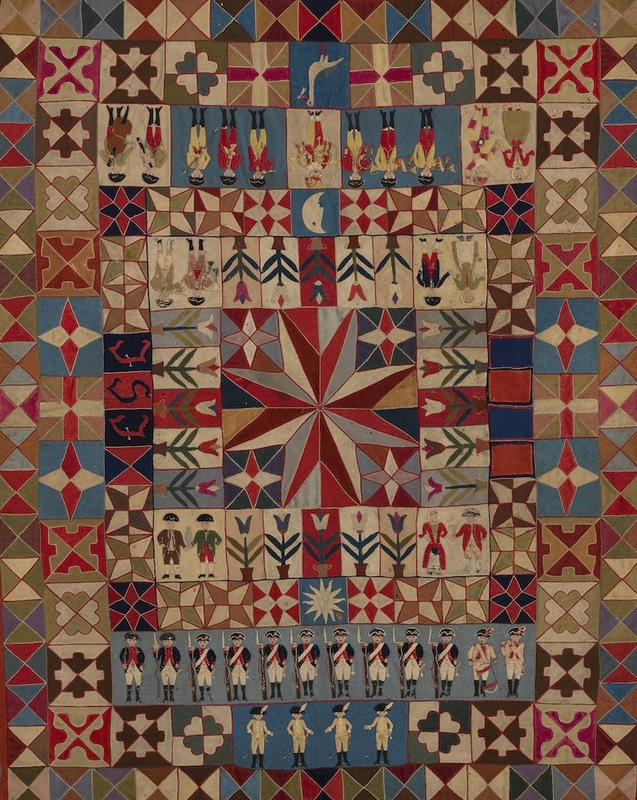 To April 28 War and Pieced: The Annette Gero Collection of Quilts From Military Fabrics – spectacularly complex geometric quilts, once termed ‘soldiers’ quilts’ or ‘convalescent quilts’ from the unparalleled collection of internationally acclaimed quilt authority Dr. Annette Gero. Recently shown in New York. Not to be missed! 206 Main Street, Lithgow 2790. Mon 10.00 to 3.00, Fri-Sun 10.00 to 4.00, or by appt. Civic Centre, 184 Bourke Street, Goulburn 2580. Mon-Fri 10.00 to 5.00, Sat 12.00 to 4.00, closed Sun and public hols. 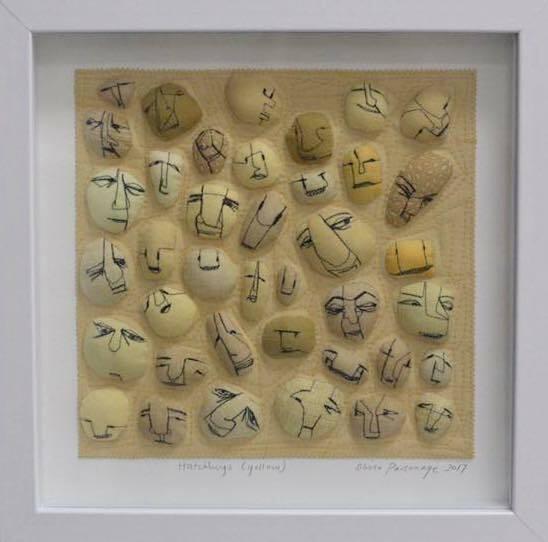 March 29 to May 11 The Art of Ageing – Kerri Ambler, Tayla Martin, Tina Milson, Julie Slavin and Tim White. Also, Snapshot: Jordan Charles Stokes – One Hundred Trees, and Dawn to Dust by Tina Milson. 167 Banna Avenue, Griffith 2680. Wed-Fri 10.00 to 5.00, Sat-Sun 11.00 to 2.00. 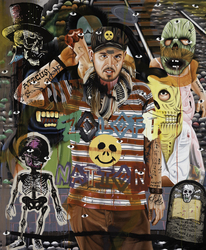 To April 21 David Griggs: Between Nature and Sin. 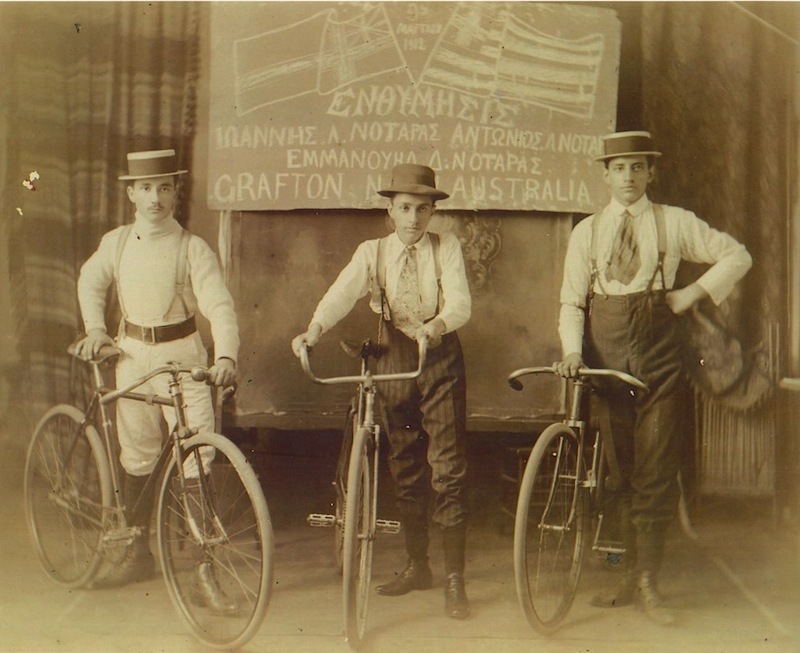 A touring exhibition from Museums and Galleries NSW. April 26 to June 2 Manggan: Gather, Gathers, Gathering. A touring exhibition for Museum and Galleries Queensland. 546 Dean Street, Albury 2640. Mon-Fri 10.00 to 5.00, Thurs 10.00 to 7.00, Sat-Sun and public hols 10.00 to 4.00. Wed April 25 (ANZAC DAY) open 1.00 to 4.00. To April 14 CATPC ñ the artists from the plantation. A portrait by Baloji, 2018. To May 26 Sarah Goffman: Bridge to Asia. To May 26 John Mawurndjul: I am the old and the new. Cnr Bridge and William streets, Muswellbrook 2333. Tues-Fri 10.00 to 5.00, Sat-Sun 10.00 to 1.00, Mon by appt. Closed public hols. To May 5 Muswellbrook Art Prize. 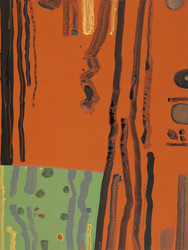 Also, Art Tracks II – Tracing the History of the Muswellbrook Art Prize. 106-114 Kentucky Street, Armidale 2350. 149 Byng Street, Orange 2800. Daily 10.00 to 4.00. Closed Christmas Day, Boxing Day and Good Friday. To April 10 Archibald Prize 2018. Also on at ANU Drill Hall Gallery: June 21 to Aug 11. 38A Gibraltar Street, Bungendore 2621. To May 5 A Time and Place by Isobel Rayson. May 11 to June 23 Filament by Harriet Schwarzrock. Schwarzrock investigates connection and transformation through threads of light, breath and form. 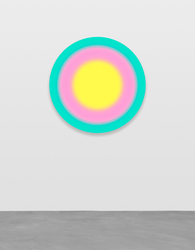 Her fascination with neon continues in her first solo exhibition. 76 Wingewarra Street, Dubbo 2830. Daily 10.00 to 4.00, Fri 10.00 to 6.00. To April 28 Greg Pritchard: The Forest. To May 5 Defying Empire: 3rd National Indigenous Art Triennial. To June 23 Dendroglyphs: Carved Country.